The Pulse of Entertainment's coverage of the 27th Living Legends Awards with Eddie Lavert (OJays), Sylvia Rhone (Epic Records), Dave 'Hurricane' Smith (Radio One ATL). 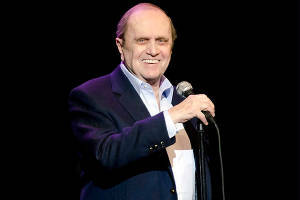 (Nashville, Tenn) - The Nashville Comedy Festival announces the apperance of legendary comedy icon Bob Newhart to their 2019 lineup. Newhart is set to bring his award-winning stand-up comedy to TPAC's Andrew Jackson Hall Wednesday, April 10, 2019 at 7pm. Bob Newhart has been entertaining the English-speaking world for over a half-century. A comedy recording of his early stand up act hit a nerve and became a huge best seller in 1960, winning multiple Grammy Awards, including "Album of the Year" and "Best New Artist." 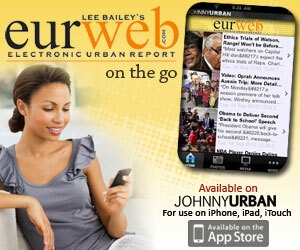 That led to starring roles in two of TV's top comedy series, "The Bob Newhart Show" and "Newhart." PBS has also saluted Newhart's career with an "American Masters" presentation. He's enjoyed a lifetime of TV prominence and accolades, including the "Kennedy Center Mark Twain Prize," induction into the TV Academy's "Hall of Fame" and a star on the "Hollywood Walk of Fame." Loyola University Chicago has unveiled The Newhart Family Theatre and the NAB, the National Association of Broadcasters, awarded its "Hall of Fame" honor. Bob now has a recurring role on "The Big Bang Theory" on CBS, for which he won his first-ever Emmy® Award, and he is a regular headliner at concert venues around the country.